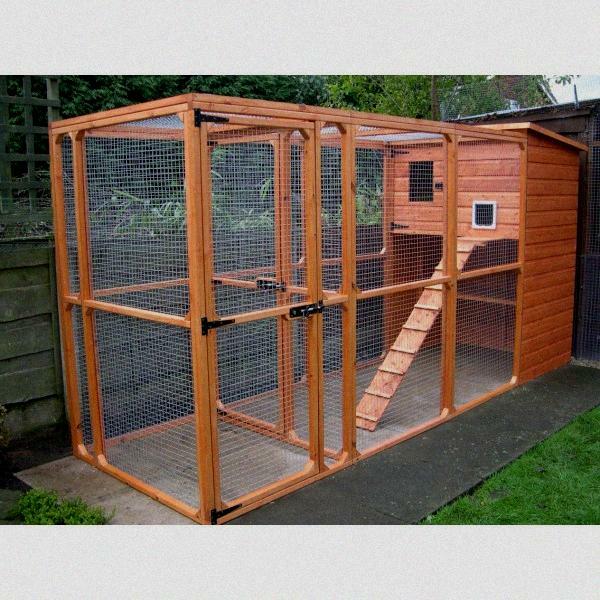 These enclosures allow you to have your cat or cats outside in a protected environment. You might think of them as somewhat as a see thru tent however they get a lot more sophisticated and fun. They come in all shapes and sizes which we will cover here. 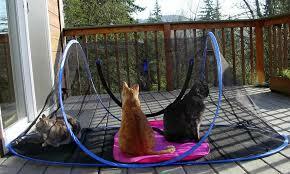 If you are someone that has an indoor meow that would enjoy some of the fresh air outside this is a great way to do it. 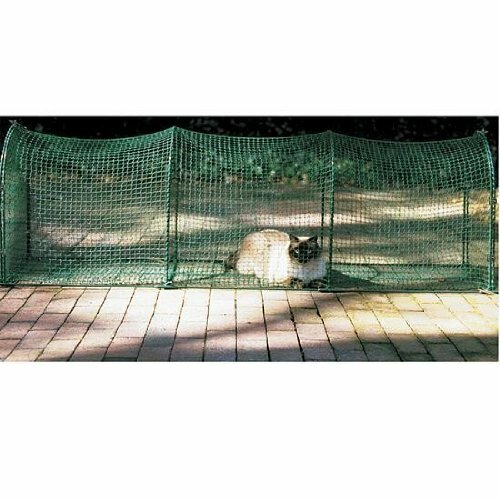 When you want to find outdoor cat enclosures you’ve come to the right place. Keeping your cat happy makes for a happy home. Have a flea collar or ensure they are properly treated. Always have a bowl or two of water in the enclosure. If it’s their first time and they don’t like it don’t force it. Be aware of other animals (especially other neighborhood cats) in the area. Even though they will be in an enclosed environment you can still have a squabble on your hands that can traumatize your cat. Make sure they aren’t completely left in the heated sun and left unattended. Cats can get hot outside easily. 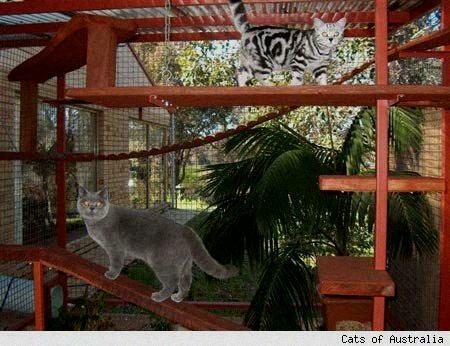 Otherwise, if and your cat is okay with it an outdoor enclosure can be a lot of fun for them. There is a wide range of sizes and shapes so the cost can run anywhere from $30 to $350 dollars. If you’ve never tried taking your pet outside you might want to try a lesser expensive enclosure before you run out and spend $350 bucks. Otherwise, the higher end enclosures are fantastic! 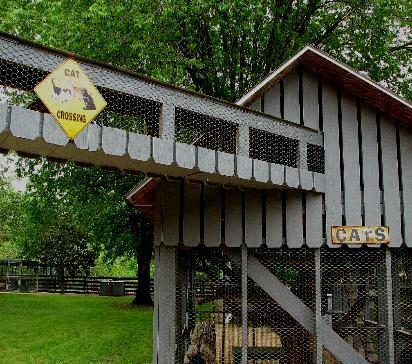 I’ve seen where people will have them directly connected to their home, garage or enclosed porch and the cat actually has free rein to go between habitats, very neat. Can You Have More Than One Cat In The Enclosure? Absolutely, especially if they already live together. In fact, it would be recommended. Many people aren’t aware but cats like to stick together in unknown areas, basically they watch each others backs if they already have a relationship with one another. It depends on the size, some, none at all. For the larger enclosures you’ll need to spend a little bit of time putting it together. They aren’t hard at all and it’s a fun project. If you have kids they love to participate too. Another use for enclosures is a good method for introducing a new cat to the environment. They can meet each other and still have their own protective space. The Outdoor Feline Funhouse is made with this in mind and is featured below. It’s made of black Electro-Coated wire that’s both sturdy and easy to clean. Sits on rollable casters making transporting in and out of storage is simple. Large swinging door provides access. Has the ability to completely collapse for small storage spaces. One single piece, easy to move and put away. 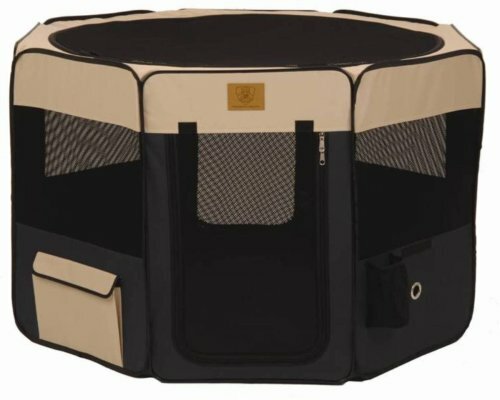 Includes separate storage bag, the bag itself is 22 inches in diameter for small storage spaces. Completely weather resistant (always storage when it’s not going to be used for extended periods and during the winter in cold climates). Good for introducing new pets to the household. Easy assembly with no tools required. It’s up and ready in minutes. Fold easily for quick storage. Be sure to check out the small or medium size that’s available if you wish to place in a smaller space. Integrates with other Kittywalk products. Self standing with open net construction. 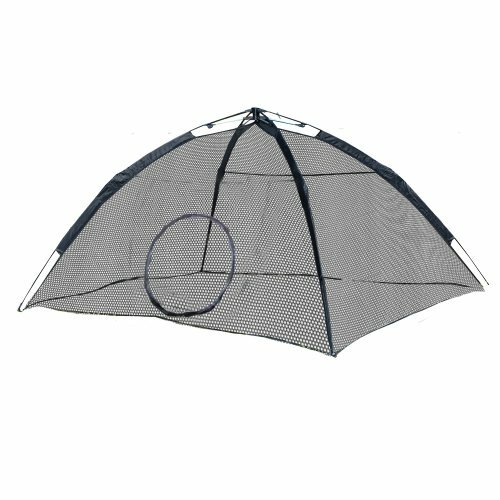 The open netting allows maximum visibility and ventilation. 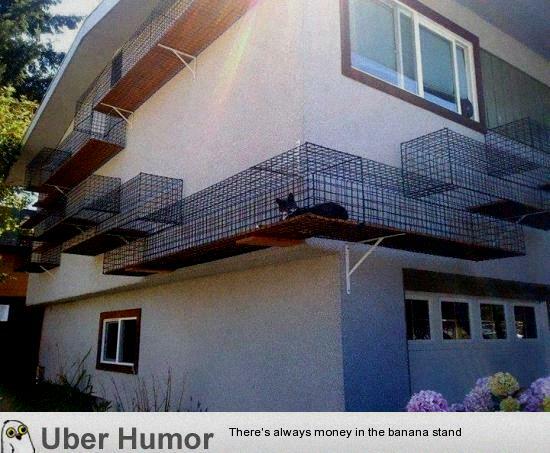 Comes with 2 enclosed doors (access from both sides just in case your meow doesn’t want to come back inside). Includes a storage bag for storage or traveling. 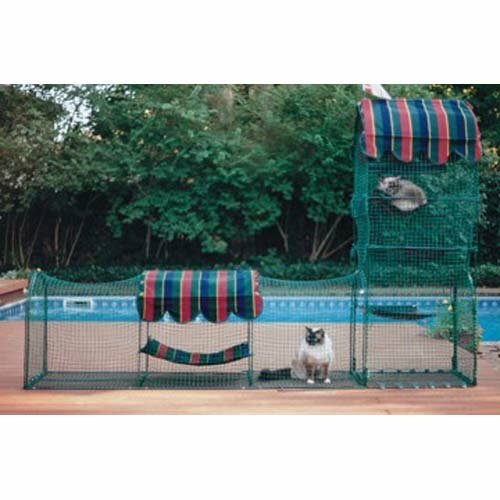 Approximately 30 square feet of outdoor fun for your cat. Includes 2 pegs to stake down for additional strength. This is a great choice for anyone on a budget that still wants to see their cat enjoy the outdoors. This just speaks of fun! Very cool!